NKBA Pittsburgh Tri State is the local chapter that brings together local Pittsburgh Tri State Kitchen & Bath distributors, retailers, remodelers, manufacturers, fabricators, installers, designers, and other professionals – and provides a resource for local consumers to research, educate and connect with Pittsburgh Tri State Kitchen and Bath professionals. 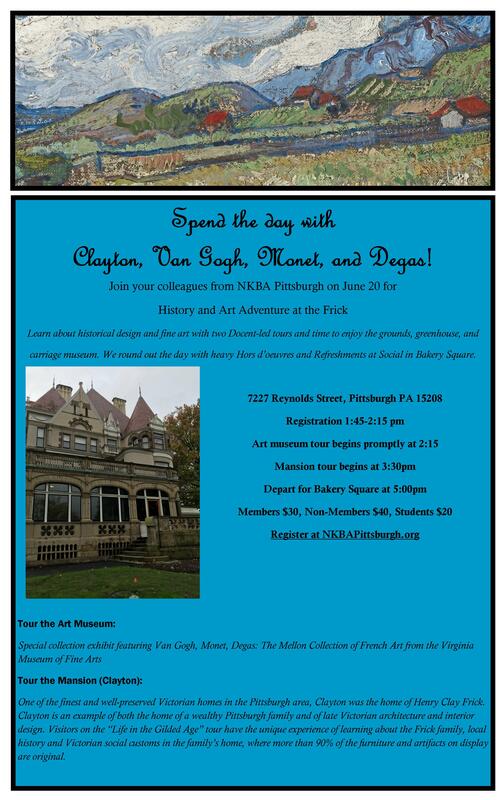 Click here to visit the NKBA Pittsburgh Tri State website. Come and see what’s new in products for outdoor living, including kitchens, landscaping and appliances. Sign up for a charity softball tournament! Please join us at the Snow Ball: a Winter New Year Party! A Semi-Formal celebration of the New Year with friends and colleagues to benefit the Heyward House. Silent auction, music, dancing, food, drinks and fun! Join us for a fun and informative day of learning! 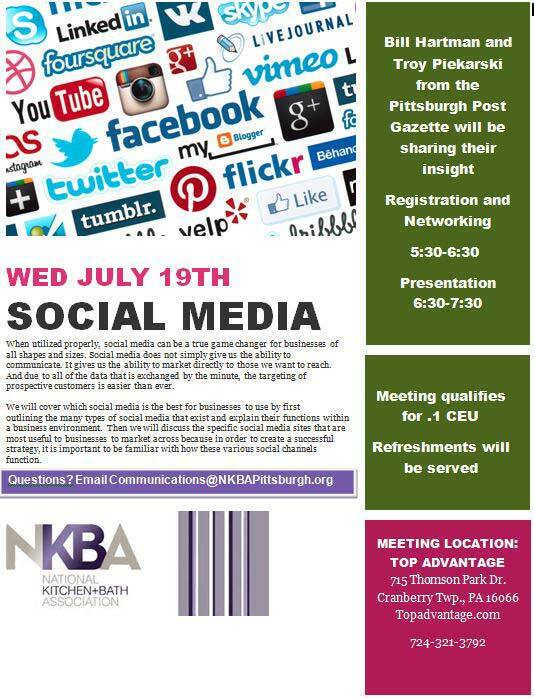 NKBA Pittsburgh Tri State Chapter welcomes John Morgan for an in-depth 2020 Workshop that includes a 1-Hr CEU and two hours of Tips & Tricks! Lunch will be served as well! Attendees will learn hands-on how to create easy customizable showers using shower systems. Learn firsthand how stone countertops are fabricated through every step. See how a template is translated to the CNC, watch slabs be cut, edged, polished and ready to install. Join us in Grove City on Wednesday November 15 to learn about two unique artisan crafters: Wendell August Forge and TimberCreek Tap & Table Brewery. Join us for our 2017 Day of CEUs! Don’t miss this opportunity to earn up to .6 CEUs in one fun day of learning! Wednesday October 18 form 9:00 am until 4:15 pm. Join us for a Fun & Exciting Tour of the East! Three Stops, Food & Drinks, Great Company. Please join us for our 2nd Showroom Crawl; an evening of Networking & Fun! Steve Strauss is the president of Direct Kitchen Distributors. Based in Whitehall, Pennsylvania, DKD has served eastern PA since 1982. Steve has been a part of the family business since the age of 12 and moved up through, delivery, installation, sales and design. All through high school and college, he continued working in the business. Over the years, he has been involved with every facet of the kitchen and bath business, becoming president of the company in 1992, and later added AKBD certification to his credentials. Steve served as a Board of Directors member of the BKBG, a national group of kitchen and bath dealers committed to excellence in their field, from 2007 through 2010. In 2009, with the knowledge gleaned from his expertise in the kitchen and bath industry, Steve formed a company (Spread Sheet Services, LLC), for the purpose of designing, creating and maintaining spreadsheets, primarily for use by kitchen and bath dealers.